Pros: $5 Gold Pieces would be exempt from future gold confiscation based on their historic value. They would buy about $500 in goods and services in 1913 using the current dollar value. 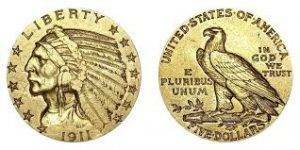 Smaller gold coins are easier to carry around in your pocket and liquidate. Recommendations: Buy lower grade coins for bullion value and higher grade for collector value. Make sure your higher grade gold is slabbed and graded by PCGS or NGC. 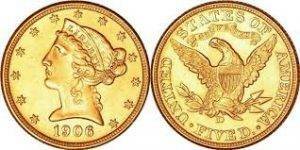 Want HUGE Discounts on Indian or Liberty Head $5 Gold Coins? Please Specify if you are Buying Or Selling.